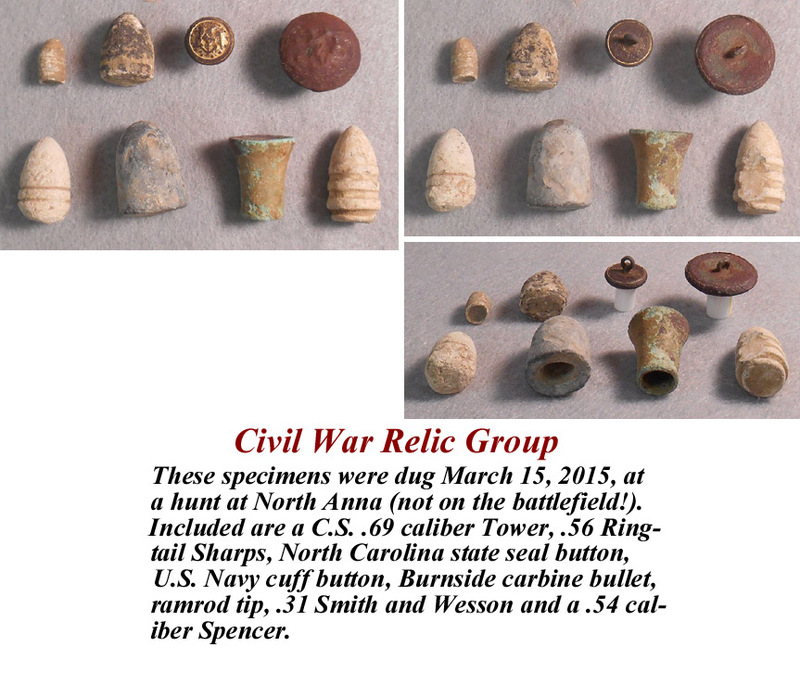 These artifacts were dug March 15, 2015, at a hunt at North Anna (not on the battlefield!). Included are a C.S. .69 caliber Tower, .56 Ringtail Sharps, North Carolina state seal button, U.S. Navy cuff button, Burnside carbine bullet, ramrod tip, .31 Smith and Wesson and a .54 caliber Spencer. This drumstick appears to be made of American Walnut. 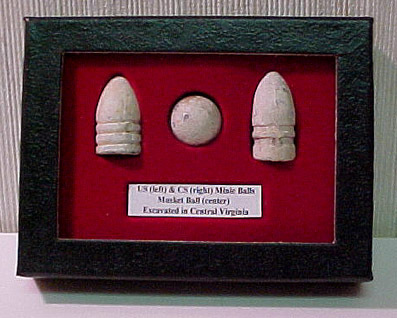 Estimates are that up to 65% of the American Civil War was fought in Virginia. A great souvenir for anyone looking for a meaningful representation item of the Civil War. 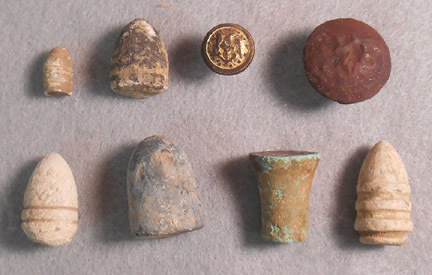 The selection includes: one US Three ring .58 caliber, one Musket ball .69 caliber used by both sides and one Two ring CS .577 caliber all excavated in Central Virginia. Nicely displayed in a 3" x 4" Sgt. Riker Display Case (glass top) ready for presentation. Items listed are unique but inquire about wholesale pricing by the dozen!